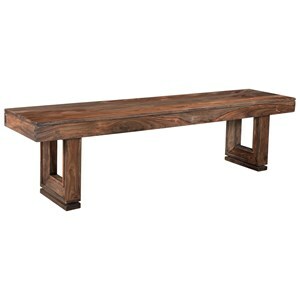 Add this bench to your dining room for a rustic and fresh take on family dining. The bench is perfect for families with children, or those who want to cram as many friendly faces around their table as possible. 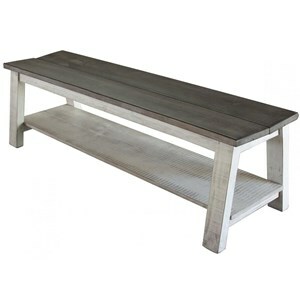 Crafted from reclaimed old wood and finished in a rubbed out greyish white color, this bench has an authentically rustic and natural look. The Cavendish Dining Bench with Trestle Base by Dovetail Furniture at Williams & Kay in the Anchorage, Mat-Su Valley, Eagle River, Alaska area. Product availability may vary. Contact us for the most current availability on this product.